BOOM! Studios has spoiled fans with some amazing covers in the past, and Mighty Morphin Power Rangers #27 will be no exception. The upcoming issue will feature several slick new covers, and in the past, those covers have homaged everything from X-Men to classic films. For their latest retailer exclusive cover though BOOM! Studios and artist Amelia Vidal went above and beyond, homaging an iconic DC Comics Wonder Woman cover, and Ranger Slayer pulls it off brilliantly. The new cover will be exclusive to Kirby's Comics and was drawn by Amelia Vidal. 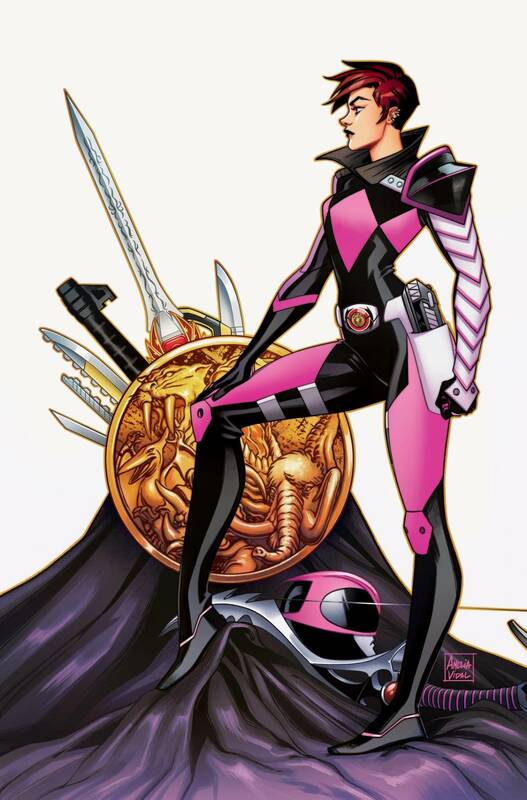 The cover features Ranger Slayer (the Drakkon Universe Kimberly) standing in a very familiar pose with a large Power Coin behind her and the Ranger's weapons peeking out from behind it. You can also see her helmet and bow towards the bottom as her cape flows out, and if it all looks familiar it should. 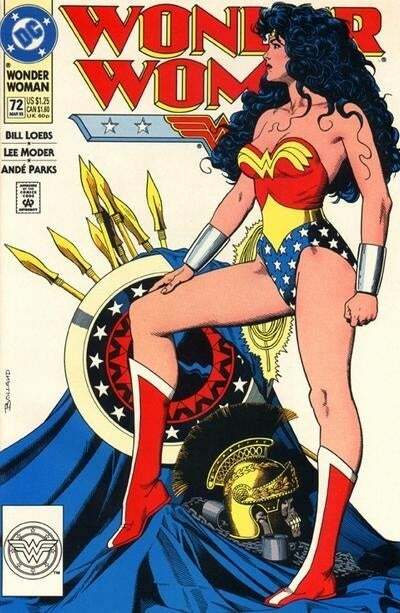 That's because it's based on the classic Wonder Woman cover by Brian Bolland from Wonder Woman #72. The cover features Wonder Woman's shield with numerous spears appearing behind it as a helmet and shackles are found on the robe below. Diana is staring off into the distance in exactly the same pose, making this is a cool collector's piece for fans of the two franchises. You can check out the covers for comparison above and below. As for the cover itself, you can pre-order it now either in store or on Kirby's Comics' eBay store here, and the cover will be limited to 500 copies. Each copy will be UNREAD in NEAR MINT or better condition. For international orders please message us to arrange something." Vidal also took to Instagram to celebrate her first Power Rangers variant cover, and we can all agree she knocked it out of the park. "I'm so happy to share with all of you my first variant cover for #PowerRangers that I did for @boom_studios! #mightymorphinpowerrangers #37! based on the #wonderwoman #72 cover by Brian Bolland. Available on Ebay for pre order now! Please visit @kirbyscomics for more info!" Mighty Morphin Power Rangers #37 is written by Marguerite Bennett and drawn by Simone Di Meo with a regular cover by Jamal Campbell. You can find the official description below. "As the death of this entire new universe draws near, each Ranger will be faced with a terrible choice-and one Ranger may be forced to betray everything they believe in." Mighty Morphin Power Rangers #37 hits stores on March 27th. Do you love the cover? Let us know in the comments and hit me up @MattMuellerCB on Twitter for all things Power Rangers!